We extend our sincere gratitude and appreciation to the many customers who donated food, household supplies, personal care items, hats, gloves, mittens, scarves, and more to the Alpine Food Drive and Mitten Tree Program this year. We received many donations in both Elkader and at The Guttenberg Press. 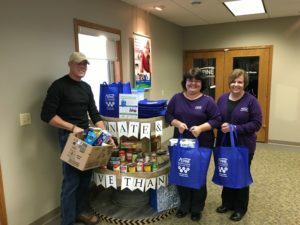 Thank you for warming the hearts, hands, and heads of many families in our communities. 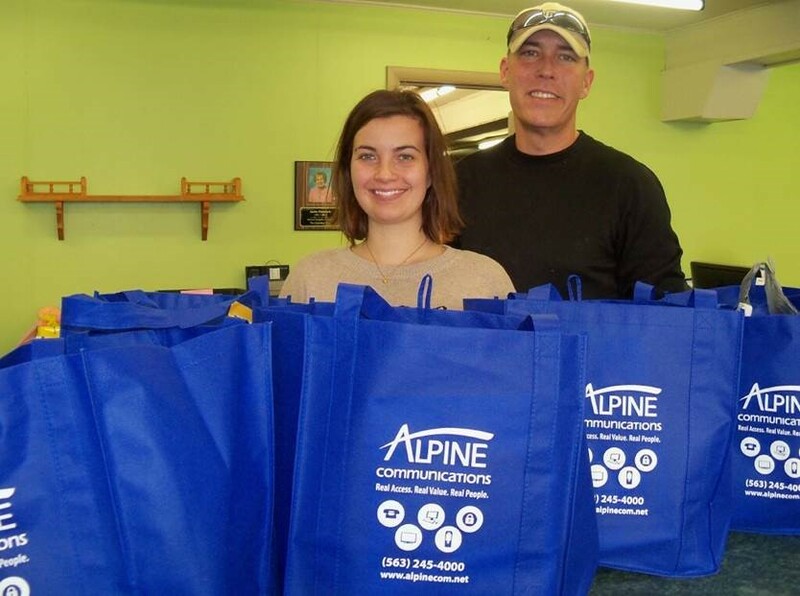 Pictured are Molly Moser, The Guttenberg Press;and Tom Hyde, Alpine Communications. Photo courtesy of The Guttenberg Press.